Friends, it’s time we get real about the way social media has caused authors and small businesses across America to waste millions of dollars each year. Worse, it’s led to a homespun industry of so-called experts taking advantage of people. Social media has become an electronic form of highway robbery. Today, you are fortunate if a free post reaches more than 16% of your own audience. Facebook even admitted that their system limits the organic reach of your free posts. That means 84% of your own fans never see what you write! Why do we accept such a ripoff? Are we that naive or desperate? I have more than one consulting client with over 1,000,000 Facebook likes, but they find it extremely difficult to generate sales from that group. If you want to reach your entire audience on Facebook, no matter how large, you have to pay to play. You must pay for sponsored posts, boosted posts, etc. Why? Social media is no longer about connecting people. It’s about huge companies with investors who demand that their stock prices and annual revenue keep going up. How? By charging everyone a fee to reach their own audience. It’s like walking into a Las Vegas casino. The moment you step through the door, the entire system is rigged against you. The social media execs are now filthy rich, and we’re a bunch of suckers propping up the system. Who has time to do all that stuff? Wait, nobody does. That’s why a new industry of millennials has risen up who are happy to do that stuff for you. But, will they do it for free? Heck no, they’ve got to get paid so they don’t become a young adult statistic still living at home with their parents. How much does it cost to hire someone to manage social media for you? It’s a wide range, but expect to pay $1,000 – $10,000 per month for ongoing services. That’s $12,000 – $120,000 of additional expenses per year! Wasn’t social media supposed to be revolutionary and free? Now we’re being told to pay someone to manage it all for you. That’s a big cost to bear for most individuals and small businesses. Worse, it’s easy for these services to secretly buy thousands of followers without telling you and claim that your audience is growing (just Google “buy Facebook likes”). You could say I’m wrong, but how will you know the difference? Suckered again. When there is no barrier to entry, there is no assurance of expertise. Just because someone says they understand social media doesn’t mean they understand marketing and sales. If you’re going to spend the time or the money to hire someone to manage Facebook and Twitter, you need to justify the ROI for that expenditure. However, anyone can hang out their shingle, put on a pair of fancy glasses, and say they’re a social media expert. But, that doesn’t mean they know how to persuade people to buy a book, purchase a service, or attend a live event. It just means they know how to blast a bunch of posts and pictures onto the Internet and hope for the best. And, I’m becoming convinced there are more “experts” than people available to hire them. What if you ask the experts to show results? Their response tends to focus on numbers about likes, shares, and comments. But, if you cannot connect social media activity to actual sales, you’re wasting your money and time. Yes, it’s possible to show ROI by creating specific posts tied to landing pages and dedicated marketing campaigns. But, the typical results I’ve seen are so low that the conversation shifts to a bunch of crap about audience engagement, customer excitement, or brand awareness. That is a smokescreen for getting suckered. Social media makes you pay not once – but twice – to get results. Let’s say you take the time to build your own audience. Then, you spend the time to send out a bunch of posts (or you pay someone to do it all for you). Congratulations, now you’ve graduated to round two of spending even more money. As I mentioned earlier, once you have an audience, you have to pay money to reach everyone with boosted posts. But, if you want to expand your audience, you must pay an additional fee in the form of advertising. Enter Facebook Ads…Instagram Ads…Twitter Ads, etc. Take your pick or blow money on all of them. In 2016, Facebook made over $26 billion in advertising revenue, which accounts for the vast majority of the company’s sales. Almost everyone agrees that social media advertising should be a part of most marketing plans…even me. But, how much money can you spend on advertising when you’re already spending it to reach your current audience or pay a monthly manager? When does the bleeding stop? Social media has become a rigged system. Mark Cuban is widely considered an authority on Internet-related and technology issues. Yet, I watched him say on a recent episode of “Shark Tank” that he doesn’t trust Facebook, because they constantly change their algorithm. What they’ll do next is a guessing game, which leads to a guessing game with your money. Initially, social media platforms were all about online engagement and audience connection. Today, they are nothing more than the world’s largest online advertising channels. They are essentially the ABC, CBS, Fox, and NBC of the Internet. You have to sit through annoying ads to view the content you want to see. Facebook can change their algorithm to make it even harder to reach your audience. Facebook can easily jack up advertising rates to even higher levels. Facebook can get hacked, shut down, and you lose access to your audience. Is there a better alternative? Yes. Email is more effective than social media. Call me old school, but my clients get better results from email than social media. Plus, numerous studies show that email outperforms all social media over 12 times better at acquiring new customers. One of my clients who was a Senior VP of Digital at a major publishing house is fond of saying, “I’ll take one email address for every 10 Facebook likes and every 100 Twitter followers.” The numbers don’t lie. 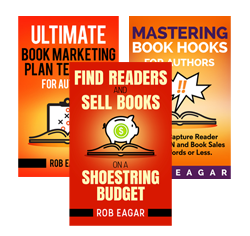 Email used correctly will grow your book sales and business. One of the best examples I’ve seen was when cookbook author, Lisa Lillien, hit #1 on Amazon – a month before her book, The Hungry Girl Diet, was released! Then, it immediately hit #1 on the New York Times bestseller list upon publication. How did she accomplish such a rare feat? Over time, she grew her email list to over 1 million subscribers. What could you do with an email list that big? Email is less expensive than social media. Not only has email proven to be more effective than social media at driving sales, it’s also a lot cheaper. According to recent pricing data from MailChimp, it costs around $500 per month to manage a list of 100,000 email subscribers. That’s way cheaper than paying for a ton of sponsored social media posts or hiring a monthly manager. In addition, you can send an unlimited amount of emails to your entire audience. And, you can schedule email ahead of time based on your work schedule. You can also create autoresponder systems that automatically send people specific emails on a timed schedule. Even better, you can grow your email audience for free by giving away exclusive content on your website in exchange for people’s email address. Sure, you can spend money on social media advertising or online banner ads to help attract more email subscribers, but at least you’re budget isn’t eroded by all of the costs I mentioned earlier. Do social media yourself for free. Try doing social media yourself for free. For instance, take an hour or two each week or month to create a library of quotes, interesting stats, or articles. Then, pre-load or schedule those items to release a couple of times each week. Post frequently enough to stay on people’s radar, but don’t fall for the idea that you have to do something several times a day. You can have an effective presence on Facebook, Twitter, and Instagram without letting it take over your time and budget. Beware of the celebrity social media trap. Lastly, don’t fall for the social media “celebrity trap” that tricks a lot of people. It’s easy to get jealous when famous people and large companies tout big success on social media. But, remember this important truth: They were already famous first. Anything that celebrities and bigshots do online and any medium they use generates above average results. That’s because people are responding based on the cult of personality. Heck, Justin Bieber or Lady Gaga could pick up an old Yellow Pages phone book (remember those? ), dial for dollars, and still get dopes to send them money. But, there’s no reason for you to get suckered by social media. You know the reality. You know the options. Enough money has already been lost to ridiculous claims by social media hucksters and greedy corporate executives. Thanks, Rob. I appreciate your research and saying it like it is. (It takes a little of the pressure off of me this morning. 🙂 ) I appreciate, too, that you often let authors know what NOT to do, as well as what they SHOULD be doing , to save them time. Keep up the great newsletters and Monday morning marketing tips.